On the first weekend of September 2012 Docking Heritage Group carried out our first Community Dig in the parish The dig was the first of many that we hope to do over the next few years. 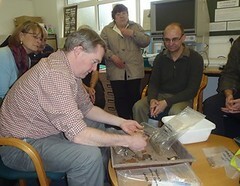 We are hoping they will help us understand the spread of the village at least back to Roman times and may be before. 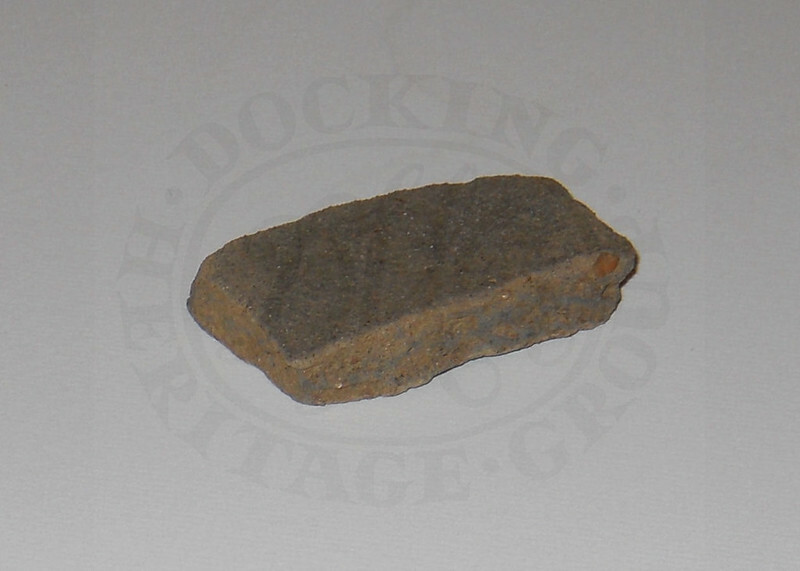 We are still looking for any evidence of Docking’s Priory building; and hope that there maybe pockets of medieval finds which will help us to locate where the main part of the village was at that time. 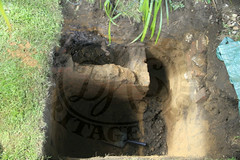 In 2012 we dug test pits at six sites over the course of a weekend with the help of volunteers and recorded the results. 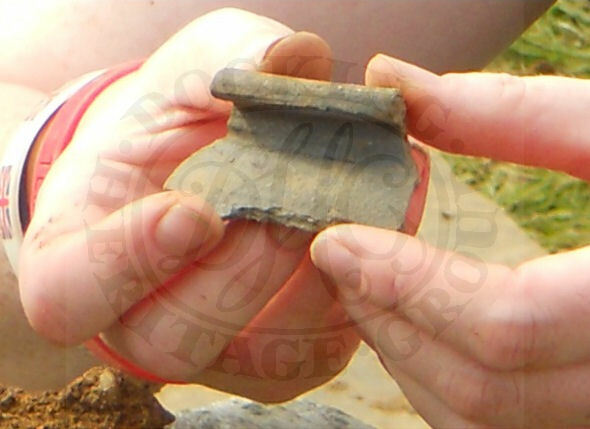 Some interesting finds were uncovered, a number of which can be seen in the pictures below. 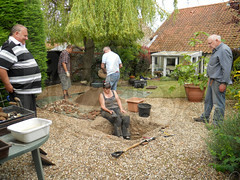 It was a very enjoyable weekend for all the enthusiastic diggers and other volunteers. After the dig, time was spent cleaning and sorting the finds and in October Dr Rik Hoggett and two of his colleagues, Christopher Kolonko and Claire Bradshaw from Norfolk Historic Environment Services, returned to our heritage room to help with the sorting process, removing anything that wasn’t man made. They then took the remainder back to Gressenhall for the other archaeologists to help identify. 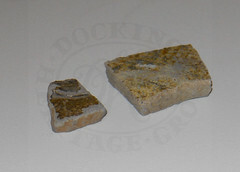 In February 2013 the finds were returned to Docking. The reports show a wide variety of items were uncovered. Naturally we found modern material in every test pit but almost all test pits revealed a scattering of finds from Victorian clay pipes to 8th century pottery. 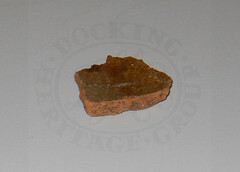 Many of the test pits also contained fragments of oyster shell, a sure sign that the Romans were here. 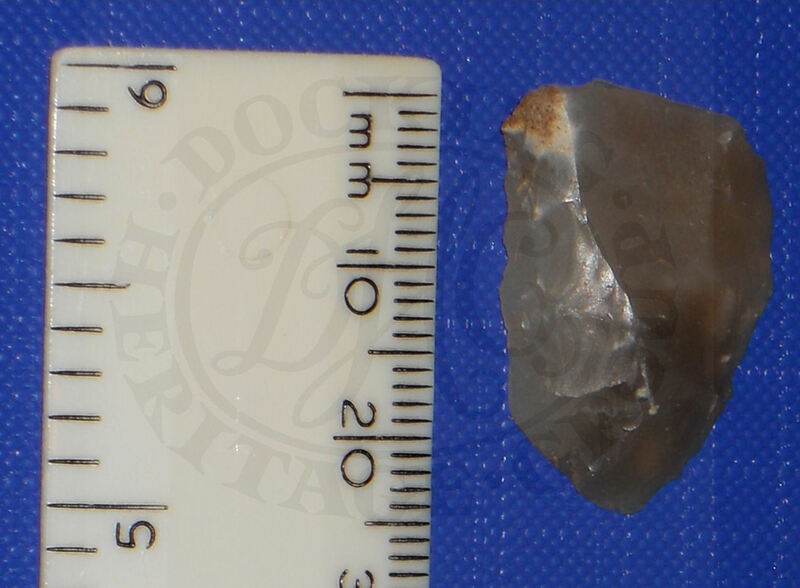 The oldest find was confirmed as the tip of a flint tool, possibly around 6000 years old. 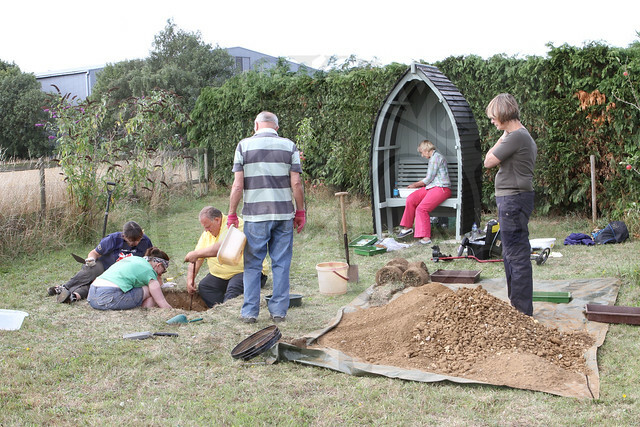 In 2013 we excavated a further six test pits, spread over two weekends in August. Once again we were helped by a number of volunteers who together uncovered many more interesting finds including Saxon and medieval pottery and several pieces of worked flint. UPDATE: The finds from our 2013 digs have now been processed and an interesting picture of human activity in early Docking is beginning to emerge. The finds are showing more activity within the village during the Neolithic period than previous finds had suggested, and it’s possible that Docking could have been a more important settlement in Saxon times than previously thought as one piece of pottery, which is still being studied by the experts, may be of a type of which only around five other pieces have ever been recorded in the whole of West Norfolk. More news on this will follow as soon as we have it. More test pits were dug in 2014. The finds from those are still to be fully analysed but once again the digs have proved very productive in telling the story of Docking’s past. One test pit (the one in the picture) turned up almost nothing but Victorian demolition fill but it did show that a much earlier building once stood on or very near the site while another test pit, despite moving almost one ton of soil, turned up nothing but it did tell us that we were outside the area of settlement which in itself is important information. We are taking a break from our test pitting in 2015 but are continuing to survey both within the village and in the surrounding areas. 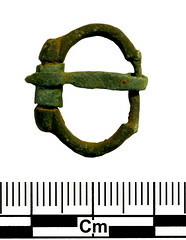 A number of interesting finds have been discovered from the Roman, Saxon, Medieval periods as well as later material. 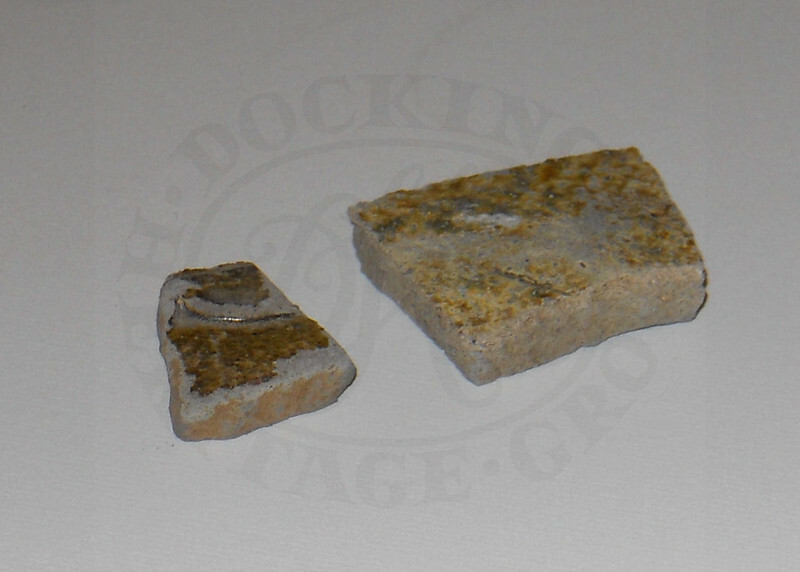 These finds together with those from our test pits are beginning to show us that Docking was quite a large settlement as far back as the Saxon period. The main area of occupation of many villages has moved over the years meaning that what are now empty fields were once filled with houses, workshops etc. Docking is different and slightly unusual in that respect in that the fields surrounding the village were as they are now agricultural land, this is indicated by the small number or lack of finds while the centre of occupation was more or less where it is now. Docking hasn’t moved very far since its formation in the Roman period some 2000 years ago, the same areas have been used for building over and over again so it looks like the earliest parts of Docking may well lie under the modern village that’s here today. Although no test pits are being dug this year will be back in 2016 and are looking for suitable sites to dig so if you’d like to know what hiding under your garden the please let us know. The results of the test pitting and survey work will not only help to unlock some of the history of Docking, but will also be added to the county and national archaeological databases. This is a long-term project. We plan to do more of this work at other sites in the parish. 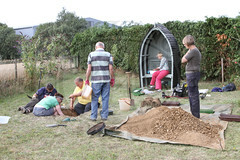 A community dig can be great fun and a good way to get families involved in finding out about the place they live. If you live in the parish of Docking and are interested in having a test pit in your garden, please contact Joy Torrice on 01485 518367. If anyone would like to help in any way at any of our community digs please let us know, we always welcome willing volunteers and it’s also a good way to learn how to carry out a dig yourself. Lunchtime refreshments will be provided. Even if we can’t contact you straight away we will add your name to our list and speak to you as soon as we can. Have you found anything in your garden? 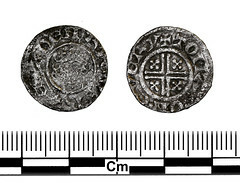 It can be surprisingly easy to find something of great age, although often it’s not easy to recognise. How many times have you picked up something like the examples shown in the pictures and thrown it away because you weren’t aware of its significance. If you do find something that you’re not sure about, we can arrange to have it identified for you. So if you would like to carry out a small excavation in your garden and want advice on how to go about it, or assistance to dig it, then do contact us.